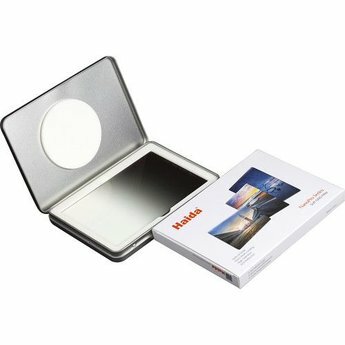 With a 8x filter factor that reduces exposure by 3 stops, this 100 x 150mm NanoPro MC Soft Edge Graduated 0.9 Neutral Density Filter from Haida is designed to darken select portions of your image without affecting image sharpness or color reproduction. It features a soft edge in its center, slowly fading from completely clear to partially darkened as we move towards the top. 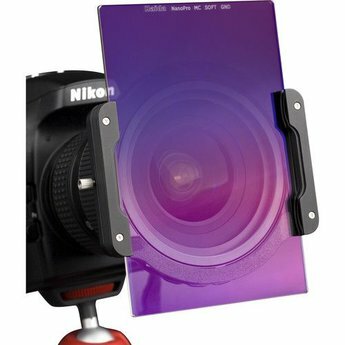 This allows the filter to keep bright skies under control without creating a line in the image. The NanoPro MC is made of optical glass and features a 2mm thickness compatible with a wide range of holders. 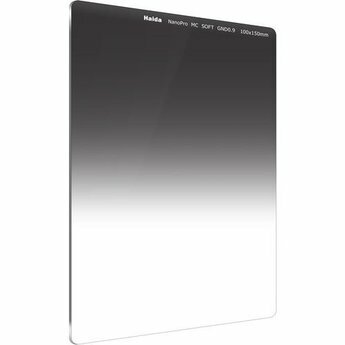 Both sides of the filter are treated with several layers of coating, resulting in minimized reflections and increased resistance to scratches. The multi-coated construction also makes it easier to clean water and other debris from the glass surface, suiting it for use in the outdoors.